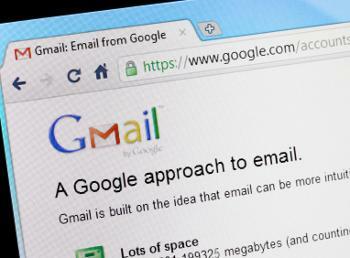 Let Gmail do the walking for you. 1. Forget folders, just search. Typing keywords into the search box yields the exact message you need and saves more time than categorizing it into a folder. 2. Make Gmail your filing assistant. Stop individually filing messages and instead try a search in Gmail for specific messages (e.g., all messages from PayPal). Then select Filter messages like this from the dropdown menu to set up a filter that will automatically label, archive, delete or "star” similar types of incoming messages. 3. Utilize Priority Inbox. Use Gmail's Priority Inbox to automatically separate your important mail from the rest. "Priority Inbox users spend 43% more time reading important messages than unimportant ones and they spend 15% less time reading email overall,” Gawley reports. 1. Create new keyboard ­shortcuts. Windows 7 lets you map keys to ­program shortcuts. Right-click the program shortcut, select the Shortcut tab, choose the Shortcut key box and assign your own shortcut to open the program when you tap that key with the Ctrl and Alt keys. 1. Close a tab by accident? Press Ctrl-Shift-T to reopen it. 2. Flip through a virtual stack of open windows with Flip 3D. Press Windows-Tab. Set yourself up with Microsoft Office tricks. 1. Trapped in an email thread? Use the Ignore feature in Outlook. Right-click a conversation in the message list and in the dropdown menu, click Ignore. 2. Handle your PPT presentation remotely. Share your presentation re­­motely by clicking Slide Show in the tool bar, and then click Broadcast Slide Show. In the dialog box click Start Broadcast and a unique URL appears. Copy and send that URL to remote attendees. Participants listening on the phone can open the link and see your slideshow. Here comes the summer help!